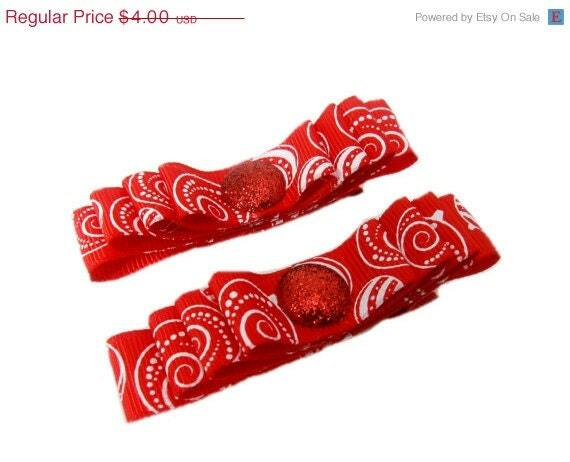 Red tuxedo hair bow clips with no slip grips. Hair clips are made with partially lined alligator clips and measure 3 inches. Great for the holidays or all year long. These clips are great for holding bangs to the side or to accessorize various hair styles.